Undeniably, your site performance matters. If users yawn while they wait for your website to show up, you lose a lot. If your web presence is slow as molasses in January, many ditch it and are pretty happy with the second option in the list. Moreover, search engines tank you as well, as no one loves slow websites. I bet you aren’t after such a situation. At the same time, the web space abounds with tips on optimizing WordPress site performance. We hope, you stick to them 😉 However, what if this is not enough? What if this is your WordPress theme that slows the thighs down? Don’t be mad at it. Today, we bring you some universal, yet highly resultful tips for revamping the performance of your top themes for wordpress. Moreover, we’ve got a couple of top-performing templates for you, if you want to just swap your obsolete template for a well-performing juggernaut. Are you with us on this journey? If you aren’t sure, the infographic by KISSmetrics below persuades to go for site performance tweaking better than anything. To make sure that it’s your WordPress theme that slows thighs down, you should run a couple of speed checks. First, run a check with the theme ON. Then, go to Appearance → Themes and deactivate it (activate the stock WordPress theme instead). Then, run the speed test again. If you get the result that’s significantly higher, you’re right: the theme is to blame. If you don’t see a noticeable uplift, think of the other issues that may cause the problem. gZip compression is a go-to solution to achieve higher loading speed. When it’s enabled, the smaller site files are transferred quicker across the web, providing for improved performance. It doesn’t take a rocket scientist to enable gZip. You can enable it on the server side with .htaccess. Get in touch with your hosting provider to learn how you can do this. 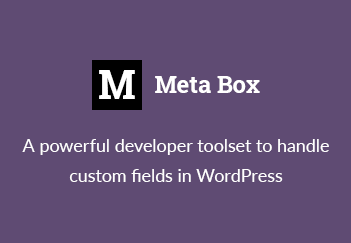 Alternatively, you can go for a well-liked WordPress plugin, e.g. gZip Ninja, WordPress gZip Compression, WP HTTP Compression Plugin. Frankly speaking, not all the themes are equally great. Some are just not optimized the way they should. In this case, most of performance optimization tasks rest squarely on your shoulders, with image optimization being one of them. Firstly, consider converting the imagery of your website to “leaner” formats, such as the now-popular SVG and GIF. Next, take advantage of an image optimization extension. WP Smush, Imsanity, Hammy and EWWW Image Optimizer are among world’s favorites. See this detailed image optimization guide for WordPress. If your template features LazyLoad, don’t hurry up to ditch it. As a matter of fact, it’s not a brand-new UI enhancement. On the other side, it not only adds to user engagement but also helps your site load swifter. LazyLoad achieves a performance spur by initially loading just the above-the-fold webpage part. All the content that comes next takes its time to load as users scroll the page down. To impress the potential buyers, many template providers cram their themes with plugins. In general terms, there’s nothing bad about this. However, if you face a template-related slowdown, it may be one of the poorly-coded pre-built plugins that causes it. To check if this is the heart of the matter, deactivate all the plugins shipped with the theme. Run a speed check. If the speed goes up, it’s one (or a couple of) plugins that impairs the theme. Next, start turning on the plugins one by one and running a checkup every time you activate a theme plugin. Once you see that your site’s speed sinks, you’ll know what’s the plugin that causes the issue. Deactivate/delete it and find an alternative with similar functionality in the plugin market. If your theme comes with sample content, you’ve probably loaded a bunch of pre-made database tables to make it work. If your theme isn’t stellar, a bunch of unnecessary tables may creep in and adversely affect your performance game. To effectively demolish all the stray tables that creep in, you can manually check for them within PhpMyAdmin tool. If you’re not there yet in mastering database management, one of the popular plugins, such as WP-Optimize, can cover cleaning stray tables for you. Also see 7 Best Cleaning Tools for your WordPress Website. Many modern templates are not abandoned by their creators after release and enjoy regular updates. However, not all of them update automatically. If this is the case, your WordPress dashboard will open up with a pending update notification. Don’t dismiss it. Backup your website and go for an update to keep up with the times and strike better performance. If you’re using premium WordPress themes, check out this guide on how to update premium themes and plugins. 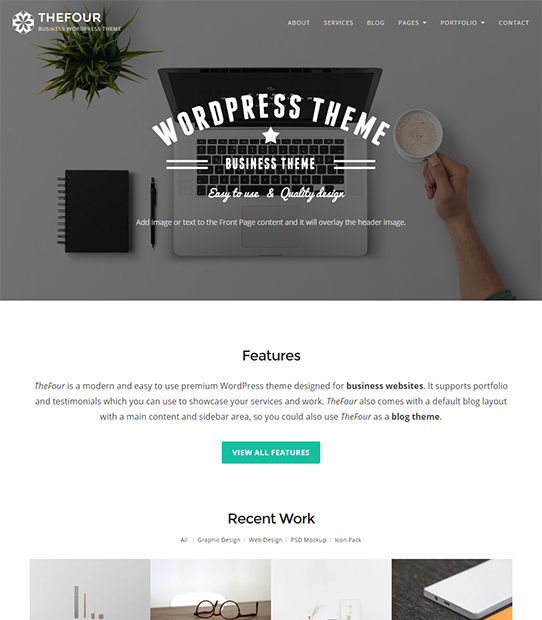 TheFour is a responsive, modern WordPress business theme. This theme features impressive hero area, portfolio projects, testimonials and service pages. Besides, TheFour is optimized for loading speed on all devices. Rebyte is a new-gen cryptocurrency theme that brings you 5 ready-made homepages and a huge number of UX enhancers. At the same time, every byte of this theme is trimmed for impressive performance and flawless responsiveness. This theme lets you create a highly engaging, flat web designer website. Moreover, Wizzy template is highly interactive and customizable thanks to worry-free, leading-edge Elementor builder. Exquisite yet simple, Hazel theme has its charm and power to underpin a wide variety of websites. It comes with 8 state-of-the-art website skins that you can spruce with 50+ UX elements using a pre-built WYSIWYG editor. What’s more, Hazel ships with a rich documentation, a set of ‘How-to’ video tutorials and free customer support. ProMotionic template has a pixel-perfect user-centric design, coupled with ease of editing and stunning performance. Featuring a rich set of ready-made pages and offering you a pre-packed website builder, this theme lets you effortlessly make great strides online. Want to see some other high-speed website templates? Check out the full collection of top-performing WordPress themes to find the very template you need. If your WordPress theme is disappointing in terms of performance, don’t get desperate. Now you know how to amend for its imperfections and get your website responding in a snap. On the other hand, if you’re just choosing a high-performing theme, you have a handful of options that won’t let you down! Are there any other ways to spur a sluggish WordPress theme? Share you insights with us below! A curated list of best contact form generators and tools for static websites. No coding required. Just copy and paste the code to your website and done! Great post. On gZip, are there any potential issues we might face or have to take note of when enabling it?